More online: Visit www.trpa.org/regionaltransportationplan to view the plan. 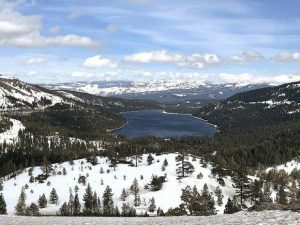 LAKE TAHOE — Despite a regional population of only 55,000 full-time residents, about 10 million vehicles make the trip to the Lake Tahoe Basin per year, according to the Tahoe Regional Planning Agency’s draft regional transportation plan. 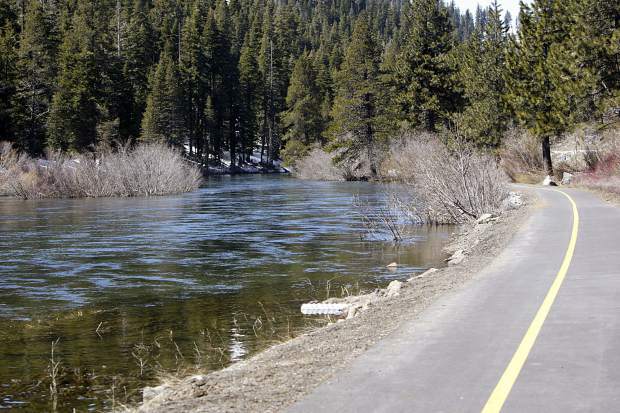 The 140-page “Linking Tahoe” draft transportation plan does more than quantify the region’s traffic problems — it also analyzes how people are getting around, what they’re doing and where they’re going — by using cellphone data. 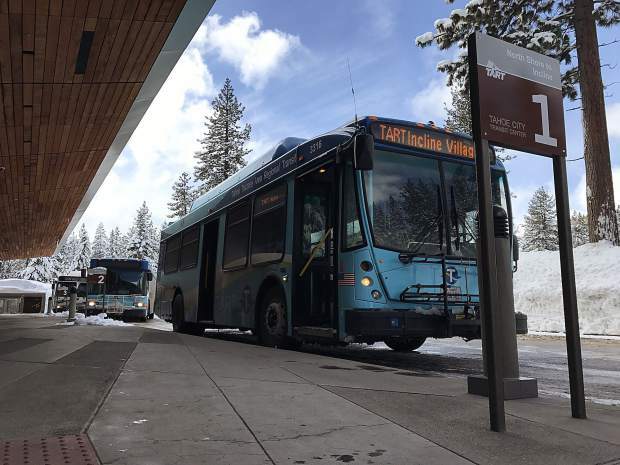 “For transit, it gives us a better idea of where we need to be focusing our efforts,” Tahoe Transportation District Manager Carl Hasty told the Sierra Sun recently. He said that the cellphone data obtained by the district doesn’t include any personal information, and that the technology has been used by businesses for a long time — although this is a first for local transportation planners at TTD and TRPA. “In the past, you’d set up cameras to photograph license plates, but you wouldn’t know anything about the person or where they were going,” he said. The questions the district wanted answered were where people are coming from; which airports they fly into; what roads they are using to travel to Lake Tahoe; whether they are residents, commuters or visitors; and finally, where they were going once they arrived. “We all know parking’s an issue, but when you start comparing it to parking spaces, you realize the number of parking spaces available to us is abysmal and they’re not in the recreational areas,” Hasty said. The regional transportation plan, though federal law requires its creation, highlights a number of findings establishing the area’s need for a number of transit improvements. For example, the State Route 89 corridor, identified as the stretch of highway from the Placer/El Dorado County line near Tahoma to South Lake Tahoe, reportedly has an 836-to-1 visitor-to-parking spot ratio, despite the fact that it has 1.7 million visitors per year. 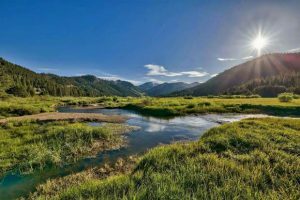 Further north, along the corridor from Sugar Pine Point on Highway 89 to the California/Nevada state line on Highway 28, there is a 6,441-to-1 visitor-to-parking spot ratio. Beyond the north shore’s state line into Nevada, about 4.5 million vehicles travel through the State Route National Scenic Byway annually. The 1,283 parking spaces here, according to the plan, create a 3,736-to-1 visitor-to-parking ratio. The plan also says that because the region’s main roads run along the perimeter of the lake, they cannot be expanded to meet the growing traffic demands. “If we’re ever going to be successful in getting people to use transit and reduce vehicle trips, we need to address parking,” Hasty said.